Here are a trio of new restaurants in Pune that provide reasonably good value for those looking for a casual dinner or quick business lunch without significant damage to the wallet. All of them are in new or renovated hotels that have recently opened in Pune. 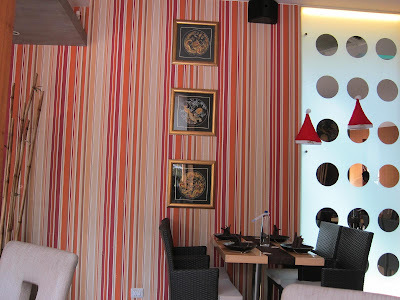 Cafe Boulevard is located on the open terrace of Hotel Kapila on Dhole Patil Road, a hotel better known for it's excellent kathi kabab outlet. 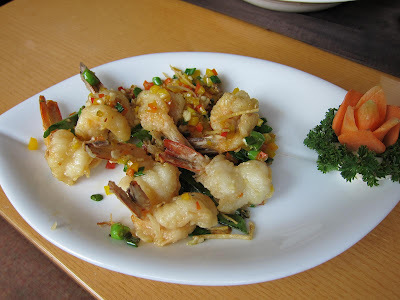 The menu is a mix of Indian and Continental dishes. We decided to try the Indian food and secected a mutton Boti Kabab followed by Kolhapuri Chicken and tandoori roti. Everything tasted good and the service was efficient. We ended with a dessert of Caramel Custard, which was unappealing to look at but tasted nice. 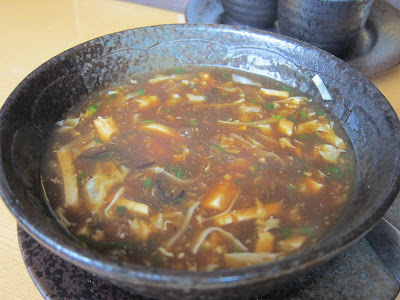 Overall, a good place for a quick lunch or dinner, but certainly not gourmet cuisine. Soy, in newly opened Le Royce hotel right next to Sun N Sand has been catching my eye as I drive past daily and we finally found some time to try it. They had a special 'corporate lunch' menu that was decently priced. 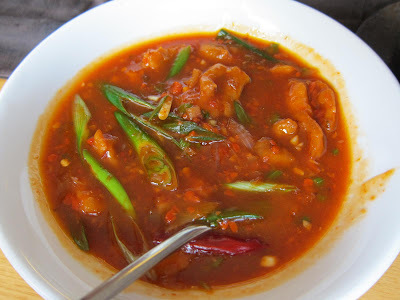 I started with the Hot & Sour soup, Chicken stir-fried with assorted peppers, Chicken Black Pepper & Chopsuey from that menu and seperately ordered a portion of Prawns in Butter Pepper from their sea-food menu. 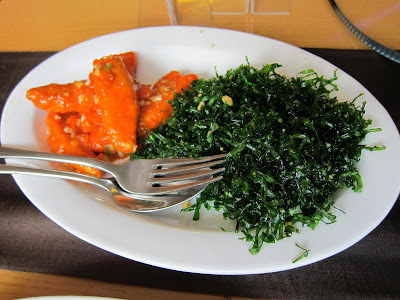 My wife also tried the Crispy Spinach Chicken. The food was good but lacked finesse. This restaurant will compete with neighbouring Suon Moi rather than Mainland China or Malaka Spice who turn out more sophisticated fare in classier settings. 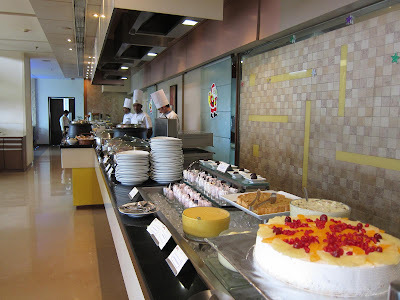 Finally, the lunch buffet at Sayaji Hotel on the Mumbai Expressway in Hingewadi. Those who have come expecting a five-star experience will be disappointed. The hotel itself kept me guessing about what to expect: They flaunt a fleet of Audi Q7 SUVs that ferry guests to and from the airport. However, they aim to provide a value-for-money experience, employ waiters who are helpful but aren't fluent in English and surprise you by not accepting tips. You will like the lunch buffet if you don't come in expecting a five-star buffet lunch. 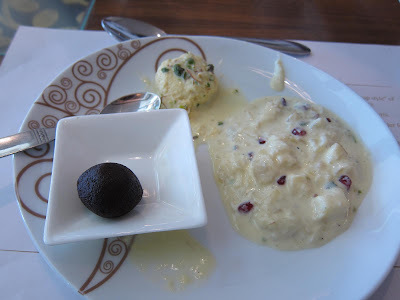 I loved all their meat preparations but the desserts were clearly the highlight - especially the fruit rabdi. Among other Pune dining news, Casanova Gold has been renamed Shikara and they have now added an Arabian Cafe to the mix too (the owners clearly have more faith in Numerology than they should; random addition of letters to the names of their restaurants have clearly not helped but sadly they persist. So Casanova is spelt CCasanova and Shikara is spelt Shikarra!). Anyway, if you are looking for a Mezze platter or baklava, you now have another choice in Kalyani Nagar. Also, like I had mentioned earlier, Tertullia has opened as a fine-dining restaurant; what I did not mention is this is actually Indyaki in its new avatar. 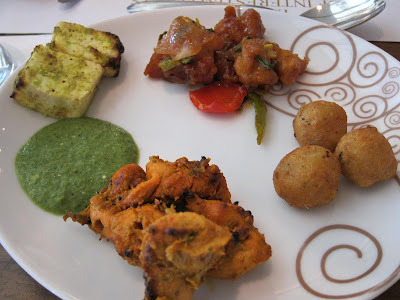 Lunch buffet at Sayaji. Rs: 375 per person. Ph: 42121212. Brilliant writing, awesome pics. U r right, the caramel custard looked very off taste just by its appearance. Rest looked absolutely delectable. 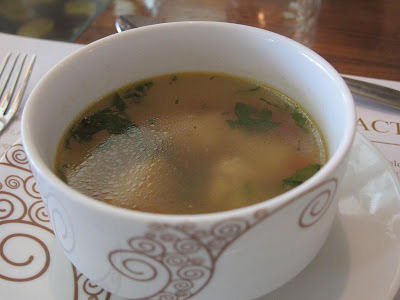 Does Shikara/ Casanova Gold do Kashmiri food ? Like always, your post, report and photos is breath taking, readable, interesting and readable. You present it so delicate and it all looks delicious - my mouth is watering! Btw1: Sorry I'm late; Happy New Year dear blog friend!! Btw2: Wish you could join us at the Oslo Blog Gathering in August! 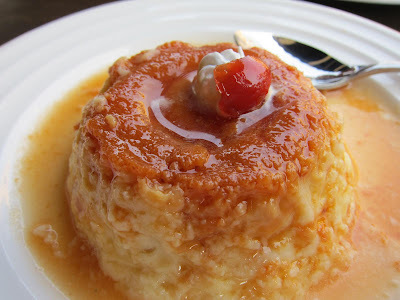 N yup besides the caramel custard everything looks absolutely delicious! @Uttiya: That's correct. 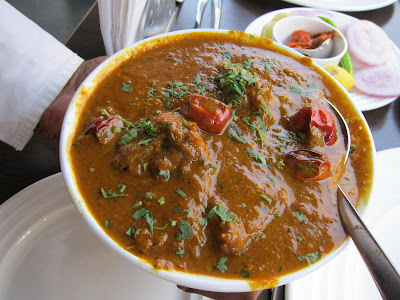 Shikara specializes in Kashmiri food. @Renny, @Kate, @Chica: Thank you for visiting. Last night had dinner at Shikara and i found out it to be much better than Wazwan. The food is quite good. Though these Pune Kashmiri restaurants lack good Gushtaba, Rishtaa and Rogan Josh (and even Tabak Maaz). Wazwan-er Mirchi Korma khub bhalo and Shikara bhalo Kabargah banaay. Still, Pune Kashmiri eateries have a long way to go to even come nearer to Chor Bizarre(Delhi), Poush Maal(Bombay) and Five Rivers(Calcutta). btw. 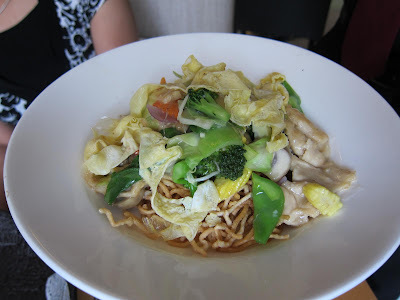 Went to newly opened branch of Mainland China at Sobo Central, HAji Ali, Mumbai . The food was excellent as usual. @Uttiya: I guess Wazwan suffers from a poor choice of location. This used to be the only choice for Kashmiri food until some time back. Now there are three! @Harekrishnaji: Yes, Mainland China is on a roll, and their success is well deserved. They have recently begun advertising on tv too. Wonder why? I went to two- Wazwan & Shikara.. which is the 3rd one ?? 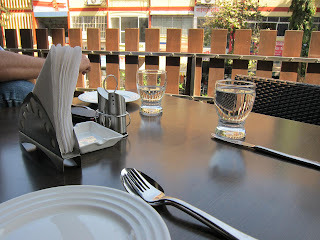 @Uttiya: The Northern Frontier on Nagar Road (opp Dass showroom,near Kalyani Nagar) also serves Kashmiri cuisine. 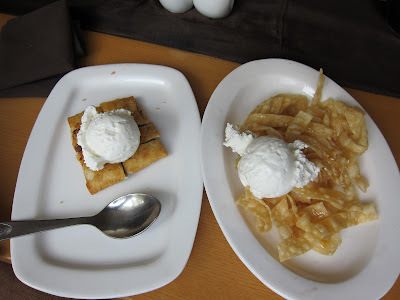 Appetizing Writing, Delicious Pictures...Lovely Food Blog. 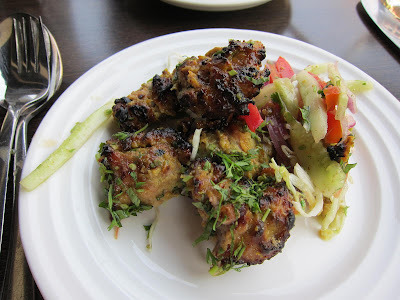 Tell me, where do you get authentic kababs in Pune...? Is Wazwan on Karve Road...? 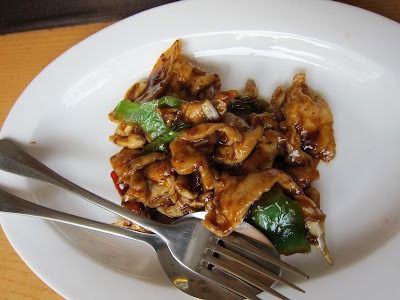 I hope you remember KAMLING on East Street which served the best Chinese in Pune. Now you have Mayur Dining Hall in its place. @Vikram: Thanks! Authentic kababs? Try Kareem's on East Street or for something more upscale The Great Kabab Factory at the new Radisson in Kharadi. Wazwaan is on Baner Road after the Domino's outlet. 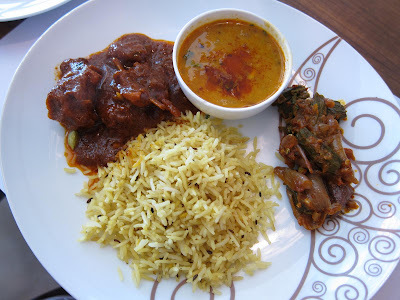 However, there is a better choice for Kashmiri cuisine now at Shikara in Kalyani Nagar (Fortelezza complex).